For several months leading up to ALA Midwinter, I'd been hearing about El Deafo. It seemed like there were many people rooting for it to win the Newbery. Even though one of my goals in 2014 was to read four Newbery contenders, this book didn't make the cut for me because, quite frankly, I didn't think it would win. 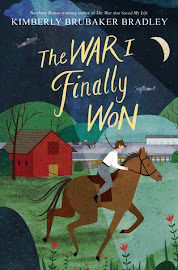 And then, last Monday, it did--an honor, at least, and when only two books are awarded Newbery honors, that seems like a (excuse the pun) high honor indeed. I immediately reserved it at the library and read it in a day. It was good. Very, very good. I enjoyed it immensely. But . . .
. . . I don't think it should have won an honor. Difficult for me to say, but there it is. I honestly haven't read very many reviews of it because I like to form my own opinion independent of anyone else's. But from the little bits I've seen, I think I'm definitely in the minority. And that's a scary place (for me) to be. But I pride myself on being honest on this blog, so I'm going to share my thoughts, and then you can share yours, and then we can all rejoice that reading is so personal and wonderful and that there's something for everyone. 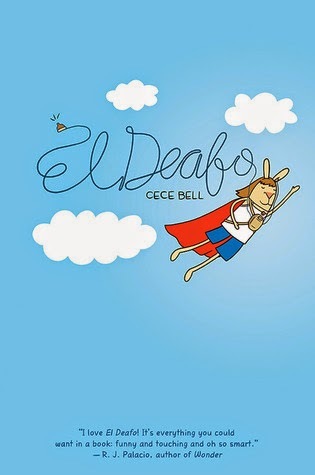 El Deafo is the graphic novel memoir of Cece Bell. When she is four years old, she contracts meningitis and loses her hearing because of it. Through hearing aids and lip reading, Cece learns to navigate the hearing world, but she is very self-conscious about what makes her different from her peers. The book chronicles her life from age four through fifth grade. Over the years, she has a variety of friends: Laura (who likes to be in charge and bossy), Ginny (who insists on using a loud, slow voice when talking to Cece), Martha (who is overcome with guilt following a minor accident), and Mike (the boy next door and Cece's first crush). In many ways, the story could be about any fourth or fifth grader. There are the friendship dramas, the lazy summers, the sleepovers, and the school triumphs and failures. But Cece's hearing loss gives the story added depth and dimension. 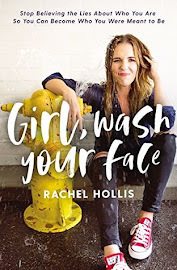 By the end of the memoir, she has really grown into a confident young woman--one who owns every part of herself, including the hearing loss she detested for so long. My opinions of this book can really be broken into three categories: what I liked, what I didn't like, and why I don't think it should have won a Newbery Honor. Really, there's a lot to like about this book. I loved the way Cece's secret identity (El Deafo) was worked into almost every situation. When confronted with a seemingly insurmountable problem, she would retreat into her mind and think about what El Deafo would do to come out conqueror. Her superhero-self is aptly named because she almost always uses some part of her disability to rectify the situation. Very clever and it gave a great unity to the book. I also loved the way Cece's four main friendships provided a solid framework for the story. They showcased both her insecurities and her strengths, and I could see her changing and growing with each one. And finally, I loved the format. A graphic novel was the perfect way to tell this story, and I was so impressed with Cece Bell's style. There were so many little details provided by the pictures and the size and shape of the words. One of my favorite sequences is at the beginning when Cece has many appointments with various doctors. Every time her mom comes to get her, she's in her red and white polka-dot swimming suit. You can tell she just loves that thing based on how often it appears in the first few pages. She also captured each age really well: you can see how she is growing up by the way she looks, but also in the way she talks and acts. The potty language. I don't feel like I need to go into this since I've talked about it many times before, including in this review and this review. But even if it's an accurate portrayal of 8-12 year-olds, it's an immediate turn-off for me and probably always will be. There were also some little details that just didn't match up or resolve, and they just left me feeling a little unsettled. For example, when Mike's family moves into the neighborhood, there's a picture featuring a little portrait of each family member. In that, Mike's mom is clearly named "Kathy." But later on when Cece and her mother go over to Mike's house, they call her "Nancy." She also looks completely different. I can pretend that she just dyed her hair and got a haircut, but the name change? Maybe I just missed something from the pages in between. Also, there's another moment where Cece catches her mom and Ginny's mom drinking and smoking in the kitchen. Cece thinks something like, "Mom? Smoking?" and the whole sequence has a very bizarre and uncomfortable feeling to it. As far as I could tell, it was an isolated incident, but I kept wondering if there was something hidden there or if I was just reading too much into it. But aside from those little annoyances, the main thing I didn't like was the ending. Early in the story, the reader finds out that with her phonic ear, Cece can hear tiny little sounds at far range as long as they are coming through the microphone that is connected to her hearing aids. This means that when her teacher leaves the classroom, she can hear all of her conversations and activities through the entire school. This ability is, in part, how Cece's secret identity is born, and she keeps it hidden until the very end of the book. Then, she tells Mike and a handful of neighborhood kids, and he decides they can use it during school: when their teacher leaves during "quiet math time," they can goof off, and Cece can keep track of where she is and alert all of her classmates to it so they can all be quietly in their seats by the time she returns. They try their plan, and it works out beautifully. Cece is a hero! The end. Okay, it's not as abrupt as all that. But that really is the climax of the story and really the turning point of Cece's opinion of herself, and I was really disappointed about it. Successfully deceiving a teacher hardly seems to be something worth getting excited about. If anything, it should have come earlier in the story so that more growth could have happened afterwards not connected with that moment. 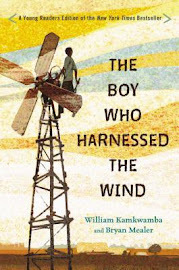 And finally, apart from what I liked and didn't like, I don't think it should have received a Newbery Honor for the simple reason that it is not "distinguished" without the pictures. The Newbery criteria states: "The committee is to make its decision primarily on the text. Other components of a book, such as illustrations, overall design of the book, etc., may be considered when they make the book less effective." Well, the illustrations definitely don't make it less effective (I think everyone can agree on that), so therefore, they shouldn't have been considered. And if they're not considered, then I just can't see a case being made for it as distinguished literature (but obviously, a case was made--a conversation I would have loved to be a witness to). Can the text stand on its own? Yes. You can understand the story without the pictures. But does the story carry the same weight with just the text? No. The text provides the bare bones framework, and the illustrations add depth and color. Is the text distinguished on its own? No. It has its poignant moments, no question, but I honestly can't imagine it getting a second glance if it was published as a text-only memoir. And this is where I just start getting riled up. Even if you can look at just the text and make sense of it and enjoy it and be moved by it, that was never Cece Bell's intention. She chose the graphic novel medium because she wanted to be able to tell her story through words and pictures. Taking away the pictures is literally taking away half of the story. Personally, if I were the author and had taken the time to tell my story in this way, I wouldn't want it to be torn in two like that. Whether it is distinguished or not (and honestly, even if we could consider the story in its complete form, the aforementioned problem with the climax would make me question this award), it does not follow the Newbery criteria. The problem doesn't necessarily lie in the book itself, but in the award. Now that I've said all that, do I really think I've said anything new? Do I really have the audacity to think that I thought of something the committee didn't think of (oh, pictures add depth and meaning? Why didn't we think of that?!)? No, of course not. I have the highest respect for them and this search for the most distinguished contribution to children's literature. I admire their creativity with interpreting this award in a new way, but I think it is my right as a reader not to agree with it. Now go read the book. And then come back here and tell me your opinion.